If you are a local, like myself, you tend to skip the shows that will still be up after the fairs have left. Miami boasts 3 extraordinary private family collections that are open to the public and 3 magnificent museums, each with power exhibitions. the 35th anniversary of Christo and Jean Claude’s “Surrounding Islands” commemorated at PAAM. Margulies Collection at The Warehouse houses the collection of Martin Margulies and curated by Katherine Hinds, showcasing sculpture, photography, video, painting and large scale installations from international artists of the 20th and 21st centuries. Rubell Family Collection offers free admission and extended hours during Art Week. This year their survey exhibition is of Miami local Purvis Young with over 100 paintings. Hans Ulrich Obrist’s interview is featured in the show’s catalogue. De La Cruz Collection opens More/Less a group exhibition highlighting works from some of the world’s leading contemporary artists. Kicking off Art Week, the museum opens to the public and not to be missed is a lecture by Hans Ulrich Obrist at 8 PM. 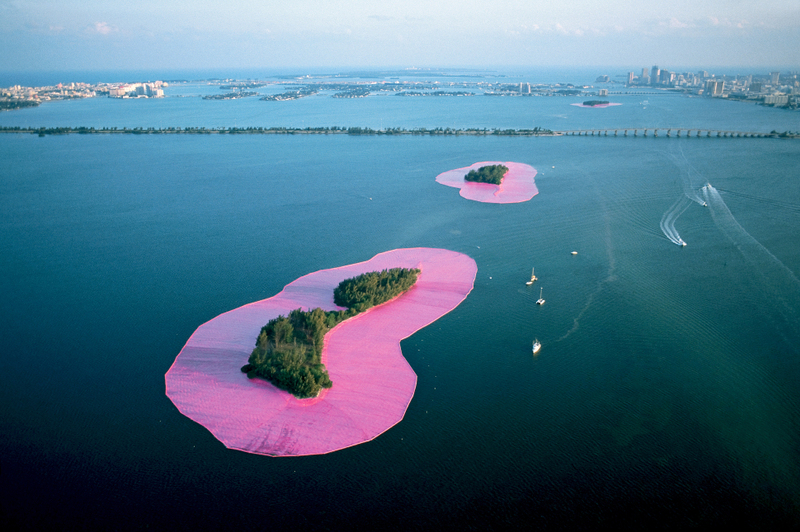 PAMM celebrates the 35th anniversary of Christo and Jean Claude’s “Surrounding Islands” installation with an incredible exhibition of research, materials, videos, photographs documenting the ambitions project of the duo that took over Biscayne Bay from 1980-83. Christo will return for lectures and a private dinner for a few lucky museum patrons. ICA, celebrating its 1st anniversary, packs a punch with Judy Chicago’s 5 decade retrospective, “Reckoning”, opening Tuesday December 4th. Her strong feminist voice paved the path in a male dominated world and who’s impact was felt not just in the art world, but beyond. The Bass underwent a major overhaul last year, opening again with Ugo Rondinone’s solo exhibition (perhaps one of the most Instagrammed shows of the year). This year’s Paola Pivi, Adam Curry and the much anticipated Haas Brother’s exhibition are sure to bring in the crowds. The Faena Festival is back this year with a show titled “This is Not America”, anchored by Alfredo Jaar’s work “A Logo for America”. The works revolve around the America as a concept not a place, where artists explore a sense of place not by the physical but rather more dynamic notions of what that means. Faena is also know for one of the best parties! Gagosian takes over the iconic Moore Building in the Design District every year and this year they will host an auction to benefit the (RED) foundation, to raise money to fight AIDS. The live auction will be held on Wednesday December 5th and rumor has it, (RED) co-founder Bono Vox will perform! Ahead of its 4th MISO Chic concert held the weekend after Basel, The Miami Symphony Orchestra (MISO) is offering a free concert at their headquarters in the Design District on Saturday December 8th at 6pm. Maestro Eduardo Marturet will perform a kinetic piece he composed for piano, followed by 11 year old sensation Martina Travieso who belts out notes like a mini Billie Holiday. In addition, MISO will screen a selection of works by Paris-based video artist Fabiana Cruz, who is the guest artist for the MISO Chic concert that explores the 5 senses through music and art. 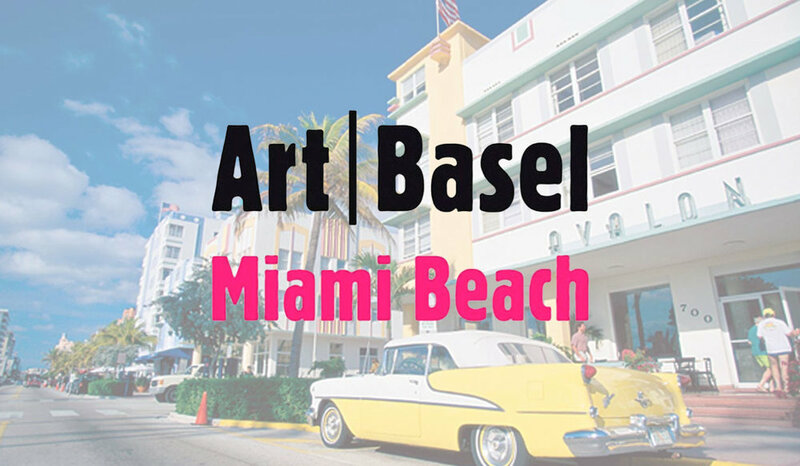 Art Basel Miami Beach is the mothership! With over 200 of the world’s leading galleries, it is perhaps the largest contemporary art fair in the country. 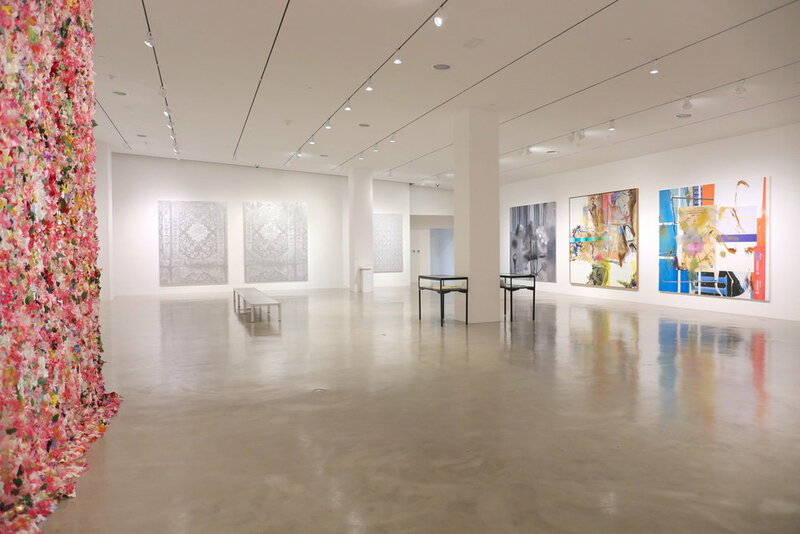 When else in Miami can you get up close and personal to a wide array of works by masters such as Picasso, Calder, Miro, Giacometti… or some of the contemporary greats like Eliasson, Holzer, Richter, Akunyili Crosby, Condo, Kapoor… The biggest artists under one roof! Also part of the fair program is the fifth Audemars Piguet Art Commission that is set up on the beach next to the W Hotel. This year’s Art Commission was granted to Tomas Saraceno with a work titled “Albedo” which explores the possibility of a post fossil fuel era. Saraceno never disappoints, so expect to be wowed! Untitled, now in its 8th edition, is one of my favorites. Beautifully curated by Omar Lopez Chahoud, the fair rounds up exceptional galleries from around the world showcasing phenomenal contemporary works. If you can’t make it to Miami, you can always follow remotely with their Podcasts. Art Miami, the OG of the fairs, is celebrating its 29th edition and along with its sister fairs, Context and Aqua, packs in top notch galleries specializing in modern and contemporary art. Since moving to their new location last year, on the old Herald lot, the fair has grown in size and presence and is one of the first things you see when arriving to Miami off the MacCarther Causeway. Need a break from art? Macchialina, an oldie but goodie, my spot for cool hip hop and comforting pasta to recharge! Sushi Garage nestled in local hang out Sunset Harbour, this Japanese restaurant will not disappoint! Mignonette for fresh fish and delicious oysters in a very cool and off the beaten path are of Miami. Swan and Bar Bevy opened just a few weeks ago and is already the place to be! Stay tuned for Oh So Arty in Miami launching January 2019! Explore our other tour options here.